Understanding about your soul’s plan, including difficult relationships. Real soul guidance to make important decisions in your life. Healing for childhood trauma, hidden blocks and emotional pain. Did you know that you can learn to be guided and receive life-changing wisdom from the highest source? You have divine guides in your Akashic Library and they are waiting to support you in achieving your highest human potential. Your soul has clear answers and direction for you and it’s available right now, in your Akashic Record. As the focus of humankind has shifted to a more spiritual place, I see so many people struggling with their lives and wondering how to be more abundant, happy, and healthy. I saw a strong need for people to be divinely guided everyday so they can answer these questions for themselves. 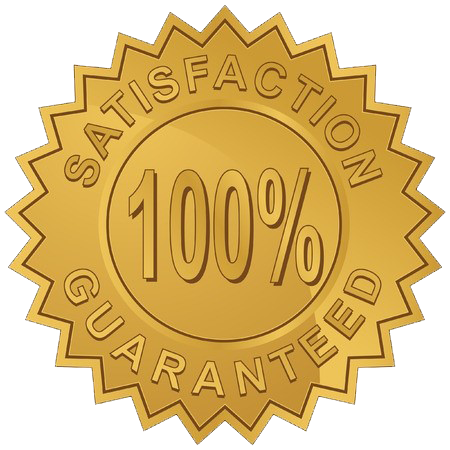 I know you want to feel secure in the information and guidance you receive. That’s why I created this program. Lisa’s “Access your Personal Akashic Wisdom ” course was so amazing and life changing. Her teaching style is well organized and her instruction is easy to follow. I think the world of Lisa’s gift in conveying a sense of safety and confidence building during the workshop. Both days were filled with exercises to go deep into our own Records and get answers to our questions. 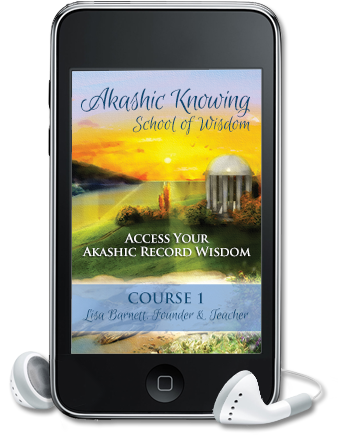 I highly recommend Lisa’s Personal Akashic Wisdom Course. In this program, you will learn to access your own Akashic Record and ask questions about your life so that you can have clarity and deep insight into your personal issues. Are you ready to commit to your personal guidance so you can let go of the confusion and pain that you are experiencing now? Each session will be filled with the prayers and tool you will need to access your Akashic Record. There will be processes to support you in deepening and expanding into your Akashic Record. We will learn how questions promote access into specific areas of this infinite field. We will learn healing tools to clear Karma, release contracts and vows and so much more. 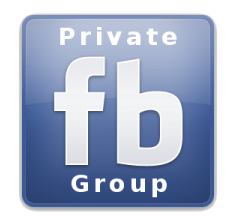 A Private Facebook group so you can connect and share with other Akashic students and soul family members. 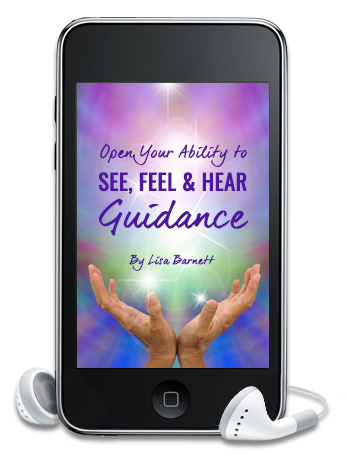 On this 45 minute recorded healing call, Lisa uses the guidance from the Akashic Masters to clears blocks to your sixth sense gifts. She opens the channels to your clairaudience, works on calcification in the Pineal to open your clairvoyance and reconnects your clairsentience with your claircognizance to move you into a state of deeper connection with your soul wisdom. Are you often unclear as to which thoughts and feelings are yours and which ones come from someone else? Do you struggle to create and enforce boundaries with people? By filling yourself up with your “personal best” energy, you can find your way in life based on your true desires, not those of others. 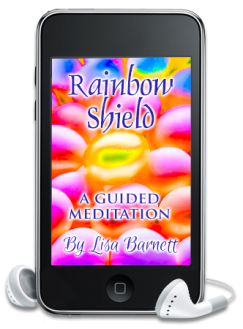 This meditation includes a Rainbow Shield to add and extra level of Protection for you all day and into the night for your astral body. You will meet other Akashic Record Students and Soul Family in the group. You can ask questions of Lisa and the group everyday to deepen your Akashic work and get ideas and feedback on Akashic processes and exercises to support you. email your questions and access the recordings. The January 2019 Course 1 is now over. If you would like to complete Course 1 before it is offered live again, please check out our home study version, which you can access and complete at your own convenience. or you’ll receive a Refund! I want you to feel like you have gotten so much out of this program, that I fully guarantee that you’ll be guided and empowered by it. If you take this course, show up to all the calls, do the assigned exercises and practice the prayer work, and don’t feel like you are able to access your Akashic Records – I will be happy to give you a “no questions asked” full refund. I stand behind the Akashic Record Master and this training! I was in tears almost immediately after the class started. I was getting pictures of the Masters of the Akashic Record even before we got to the prayers and I felt the communication flowing so freely from the beginning. Over the past two years, I’ve been wanting to resurrect my intuitive abilities, which is the reason I’m doing your course. I really felt drawn to you & this profound information amongst the plethora of resources available over the internet. You and the class didn’t disappoint. Even though I have always considered myself to have engaged in layers of healing in my adult years, nothing has equaled the depth of insight and wisdom of understanding and sense of clearing which some of my Akashic Record sessions have shown me. 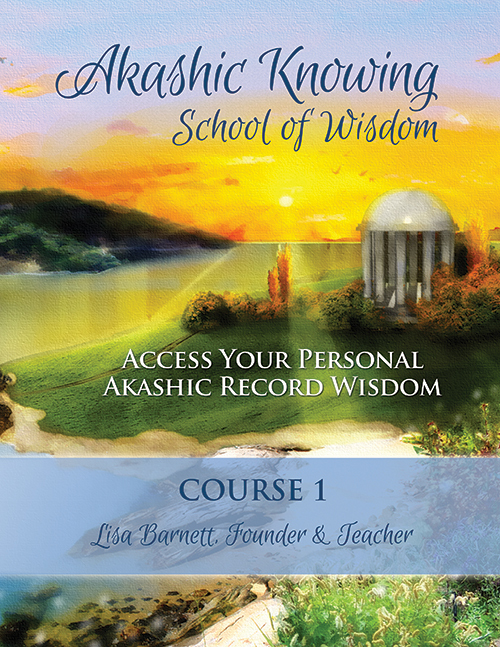 I am enjoying the entire experience of learning to access my Akashic Records with Lisa. I am learning so much and the new information and energy coming in is propelling me in new directions. I am learning to accept and let go of what no longer serves me. This is the experience I was hoping for and am now receiving. After 20 years of exploring everything on the map and being a medical intuitive for a living all those years I couldn’t imagine getting much from saying a prayer. Finally I had a free weekend and the class is so inexpensive that I decided to take it just to be in a room of high vibrational, conscious people. That weekend changed my life. It turbo charged me by giving a greater expansion of support from the Masters in ways I’d forgotten about. In addition to that, the other students in the class who had little or no prior experience with Guidance attunement, all were instant accurate intuitives! Lisa was able to answer questions both days that kept raising the vibration. I got connected to a support system that I can now tap into daily. And do. Anybody can give you a piano but not everyone can tune it without some instruction. Lisa…thank you, You have expanded my Spiritual Journey. I continue to practice as you’ve taught and I’m beginning to receive profound information in the Akashic Records. It was amazing how easy and effective it was to learn to access the Records on the phone and across the country. Lisa Barnett is very knowledgeable and was able to answer in ways that made sense all of the questions I asked for class. I also learned many valuable and easy to use questions to help me in my growth, healing and self-discovery processes in the class. This in turn made it easier for me to come up with additional questions and topics to research in my Records. Overall, Lisa’s classes are tops. Thank you for all the information and guidance into my Akashic Record. I have found information from the Akashic Records to be profound, unique, and life changing. It can move your growth so much farther than when you deal with things on your own. Lisa is the perfect teacher of this esoteric knowledge because she is grounded, non-judgmental, can see the viewpoints and needs of people from all walks of life. 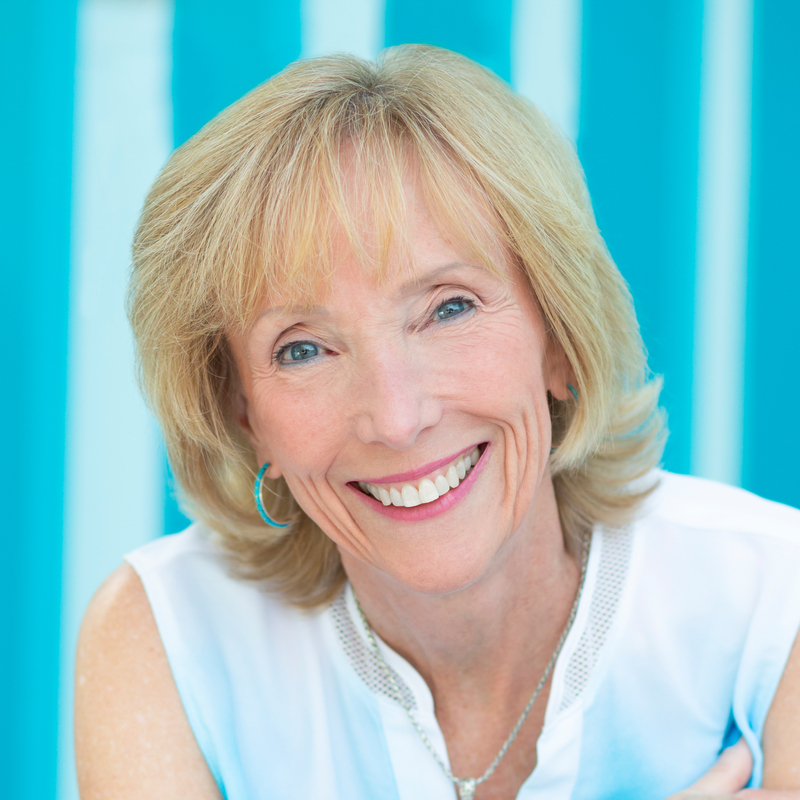 She also has extensive experience in many healing modalities, has a wealth of experience in reading and healing others and has taught many people this profound work. I’d highly recommend you take this class to enrich your own life and develop further insights on your spiritual path. Lisa is bright, cheerful, and deep plus very careful with the students & the material. Very directed & expansive in her focus & questions that spur us on to deeper knowing. She is a clear teacher and the class helped me keep my path of commitment to the Akashic Record and spirituality. The energy & cohesiveness of this class was awesome. I will take more Akashic Classes from Lisa. Lisa is an extremely gifted instructor and channel. The work done in this class has far-reaching, life changing, and yet gentle effects. Gaining greater clarity and ability to listen to myself has been a tremendous gift. I would recommend this class for absolutely anyone who is open and interested in real change and growth in their own life path. I’ve been having an amazing and life-changing few months, since I took your tele-seminar and learned to access my Akashic Record. I wanted to share a bit of what I’m doing with you. My Akashic Record Masters & Teachers wanted me to learn how to do healing with sound; tuning forks mainly. I got a book on it for some protocols and they talk me through ways to personalize it for each client. I also have remembered some of the healing info from past lives in Egypt. It’s humbling and an honor to reclaim this past life information and be able to utilize it now. It is very profound for me to realize all the information that is available for me to access in my own Akashic Record. I am very grateful for this teaching. I am surprised how easy it is to access the Akashic Records for myself. The information flows easily and helps me to stay in alignment with my higher self and what I receive as my soul’s path. It is fun to be in an Akashic Record session because I feel like I am having a conversation with old friends when I speak to my Masters, Teachers and Beings of Light. Thank you Lisa.